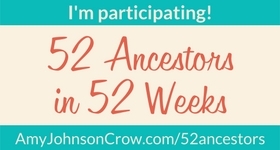 52 Ancestors in 52 Weeks theme this week is on the farm. I only have three ancestors that farmed and I have already written about all three. However in previous posts I wrote more about their lives and very little about their farms. Today, I will focus on John Desens my 2nd great grandfather’s farm. John owned a farm near Greenwood, Clark, Wisconsin. A few years ago I made a trip to the court house in Neillsville, Clark, Wisconsin to research John. At that time I did not have paper proof that he was my 2nd great-grandfather and that was the purpose of the trip. I was searching for his probate file, land records, and the criminal file for the neighbor who killed him. I didn’t get everything I wanted that day, but I was able to search the Grantor and Grantee books. I knew his death date so I started with the Grantor books for 1907 and found the sale of the farm in Sept of 1907. I did not recognize the name of the man who purchased it. Next I wanted to see the title and get a legal description. So I copied down the information of the book and page number the title should be in. The clerk took me to the basement of the court house where they kept the books. The book shelves were covered with plastic tarps. She pulls a tarp back, pulls out the book and opens to the page. I was able to write down the legal description. Then next to that title was one for his son. I wrote down that legal description too. It appeared that they each owned 40 acres next to one another. The clerk asked me if I would like to know where the farms were today. She anticipated my next question! We went back upstairs to look at the current plot book. By the legal description we were able to find the farms and the roads that they are on today. The legal description of John’s farm read: NE quarter of Sec 6 Township 26 range 2W of the fourth Principle (40 acres). Farm today is located at SE corner of Rock Creek Road and Resewood Road from the current plat book. Satellite View of John’s Farm today. Google Earth Photo. The legal description of Herman’s (John’s son) read: NW quarter Sec 6 Range 2W of fourth principle (40 acres). Herman died in 1901 and John inherited his son’s 40 acres. I could not make out the hand writing for some items on the list. The grand total came to $1356.81. It looks like John was a poor farmer. From what I can tell he had only been farming in Wisconsin for about 8 or 9 years at the time of his death. He was 74 years old when he died. It must have been hard for him to farm by himself in his late 60’s and early 70’s. Perhaps when he and his son bought their farms, he thought his son could do a lot of the heavy work, unfortunately his son, Herman died in 1901 at age 30. After finding the location of the farm, my husband and I drove out see it and here are some pictures of the way it looks today. John’s Farm from the corner of Resewood Road and Rock Creek Road, Clark County, Wisconsin. The farm was sold to Edwin H. Wood in September 1907. 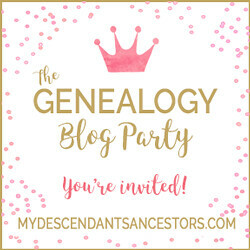 I did find proof that John Desens was my 2nd great-grandfather in his probate file. Grantor Index Book, Clark County Wisconsin 1905 1/2 – 1911 ½ Vol 8, page 117, notes from mortgage: Paid off September 26, 1900. Filed at Clark County Courthouse, Recorder of Deeds, 517 Court Street, Room 303, Neillsville, Wisconsin 54456. Ancestry.com. Wisconsin, Wills and Probate Records, 1800-1987 [database on-line]. Provo, UT, USA: Ancestry.com Operations, Inc, 2015. Original data: Wisconsin County, District and Probate Courts.